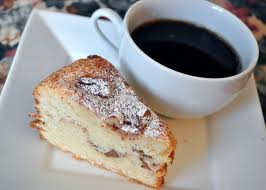 It’s interview time again, and I’m delighted to welcome Heidi Swain into my coffee and cake space today. Why not put your feet up for five minutes, and join us for a cuppa and a chat! Hello Jenny, thank you so much for inviting me to feature on your blog this week. I’m delighted to be able to join you and finally share some news I have been sitting on for quite some time! I have wanted to write a book set around a farm for as long as I have been writing novels so when my wonderful editor, Clare Hey, said those magical words ‘we’d like to offer you a two book deal’, I knew exactly what that second book was going to be about. I have such fond memories of growing up in the countryside, harvesting crops for my grandad and then as an adult raising chickens and growing vegetables of our own whilst enjoying the ever changing seasons. I knew it would be wonderful to be able to write about those experiences and hopefully, if they hadn’t really thought about it before, help make people aware of how they could get out there and forge a connection with the countryside around them. I always write in first person although my planning is in third. I never made a conscious decision to write from the point of view of my main protagonist but I love climbing right inside the story and living and breathing whatever it is the main character happens to be going through, good or bad. I like to have the book plotted out to a certain degree. I make organised notes which form the basic ‘story skeleton’ but it is when I actually start writing that the book takes shape and develops a life of its own. There is always plenty to add and I never try to twist and manipulate the characters to fit in with my original ideas. There would be no point because they would only refuse to cooperate until I let them have their own way! I’m pretty strict when it comes to my protecting my writing time, especially if I’m buried in the frantic scribbling and total absorption that comes with writing the first draft. On ‘day job’ days I will get up an hour early to ensure I can write for at least forty minutes before leaving the house and then I will write again during my lunch break in my car and then type up what I have written in longhand during the evening. Designated writing days are spent pretty much chained to the keyboard. Head down, words (hopefully) flowing with no interruptions allowed. Short story writing, blog posts and features are composed during the weekend as I can write them with a little more disruption happening around me. Summer at Skylark Farm is a novel I have long dreamt of writing. In fact, my first attempt at writing a novel was set around a farm, although now consigned to a memory stick and gathering dust. Skylark Farm has proved far more successful than that early effort and it really is a dream come true to read reviews and meet readers who tell me how much they have enjoyed it. It has always been my hope, with all of my books, that if I love the characters and the settings, then the readers will as well and so far so good! 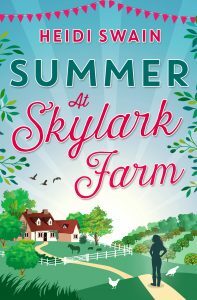 I am absolutely delighted to be able to finally share the news that Summer at Skylark Farm is currently on sale in paperback format in Sainsbury’s stores up and down the country! 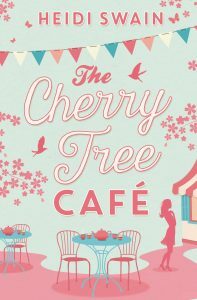 This has been an absolutely wonderful surprise courtesy of my fabulous publishers and even more thrilling as both Skylark Farm and The Cherry Tree Café were originally going to be e-book publications only. 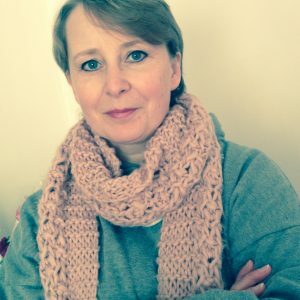 A lover of Galaxy bars, vintage paraphernalia and the odd bottle of fizz, she now writes contemporary fiction and enjoys the company of a whole host of feisty female characters. She joined the RNA New Writers’ Scheme in 2014 and is now a full member. The manuscript she submitted for critique, The Chery Tree Café, became her debut novel and was published by Books and The City, the digital imprint of Simon and Schuster in July 2015. Her second novel, Summer at Skylark farm was published in June 2016 and her third, Mince Pies and Mistletoe at the Christmas Market will be released in October. She is currently writing her fourth book which will be published during the summer of 2017. Many thanks for taking the time to chat with us today Heidi. Good luck with your wonderful novels.